Your cause is important. Make sure your fundraising efforts have a real impact. Get donors and contributors to your next event with the Purple Ribbon Invitation. 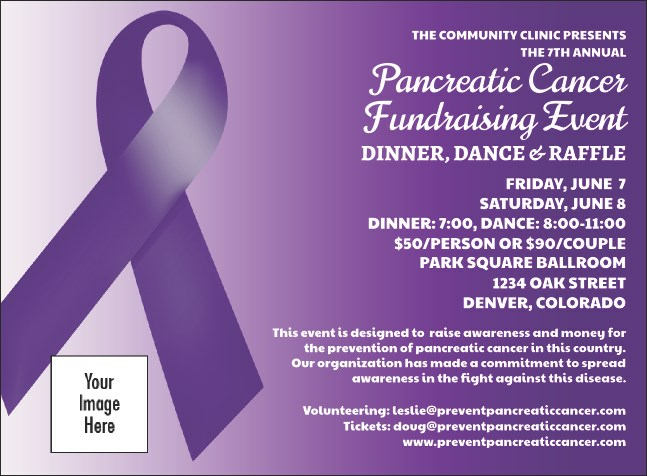 Perfect for pancreatic cancer awareness charities, this invitation template features the well known purple ribbon and a purple background for your event details. Raise awareness for your favorite cause with designs from TicketPrinting.com.